Jets' new era begins in Detroit as rookie quarterback gets prime-time stage to show what he's got. DETROIT — Sam Darnold will make history Monday night, but he was drafted to rewrite Jets history. A few generations of Jets fans don’t know what it’s like to see their team play in the Super Bowl. It’s been almost a full 50 years since Joe Namath delivered on his guarantee in Super Bowl III. The Jets are Darnold’s team now. 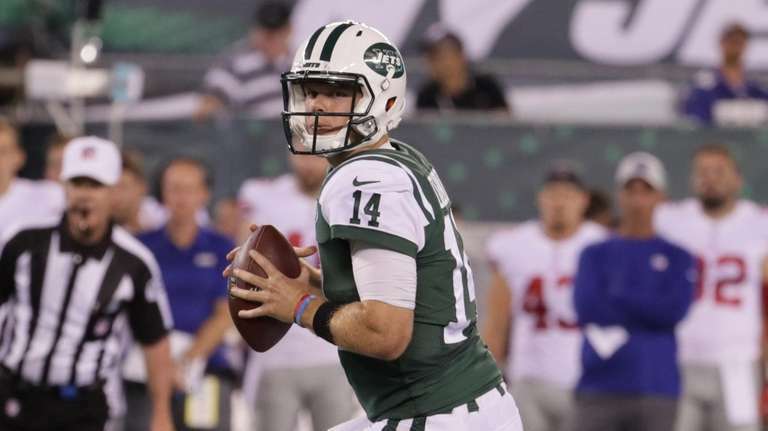 When the Jets open their season and the Darnold era against the Lions on Monday Night Football, he will be the youngest Week 1 starting quarterback since the 1970 NFL-AFL merger. Darnold is the 14th quarterback to start for the Jets since 2002. 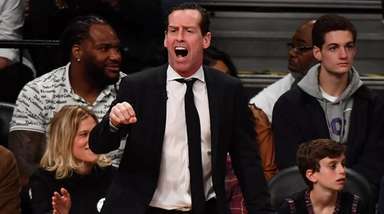 He earned the trust of the organization, the coaching staff and his teammates by picking up the playbook quickly, learning from his mistakes, taking control of the huddle and making plays. Receiver Jermaine Kearse, who is doubtful for the Detroit game with an abdominal injury, said Darnold’s composure and poise were the first things he noticed. Then Kearse paid Darnold an even bigger compliment, describing a play during the joint practice with the Redskins that really got his attention. It should be a tough first game for Darnold, facing former Patriots defensive coordinator Matt Patricia in his head-coaching debut. The Lions are an aggressive defense that gave up the 10th-fewest passing touchdowns last year (21) and were third in the league in takeaways (32). Now rocket scientist Patricia is overseeing everything. Cornerback Darius Slay tied for the NFL lead with eight interceptions in 2017 and defensive end Ziggy Ansah registered 12 sacks. Darnold and the offensive line can expect to see a lot of pressure and different looks from Patricia’s defense. Let’s see how the rookie handles it. The Jets’ offensive line has been porous, but they believe they’re going to prove their critics wrong. The Jets have better skill players this season after signing running back Isaiah Crowell and receiver Terrelle Pryor and getting wideout Quincy Enunwa back after he missed all of last season with a neck injury. “Our receivers have a lot of respect for him for what he’s done so early in his career,” receivers coach Karl Dorrell said of Darnold. “He’s a very accurate thrower. I think they want to do the great things for him to get him comfortable in our offense. They believe in him. Todd Bowles believes in Darnold and his ability to give the Jets the best chance to win. Bowles chose Darnold over 39-year-old Josh McCown, who began his NFL career in 2002. That says a lot for a coach who has yet to lead the Jets to the playoffs in his three years in charge and finished 5-11 the past two seasons. The Jets’ defense should be improved with the addition of cover cornerback Trumaine Johnson. But they will be without inside linebacker Josh Martin (concussion) and maybe second-year safety Marcus Maye (foot) against the Lions. They’ll also be without an edge rusher; that was a gaping hole that they have yet to fill. But the Jets believe they have enough to end a seven-year playoff drought, even though few outside of their locker room do. Progress is what Jets chairman and CEO Christopher Johnson wants to see from Bowles’ group this season. If Darnold stays healthy, improves and begins to develop into the franchise-leading quarterback he’s projected to be, that might constitute a successful year for the Jets. From there, general manager Mike Maccagnan would have to fill in the holes and improve the talent around Darnold. Then they could really be on the rise. For the Jets, this could be the start of a new era.